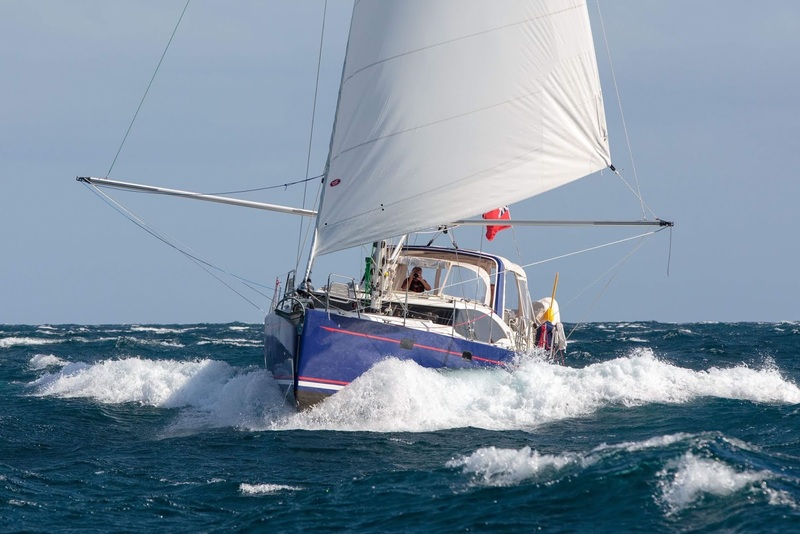 Past Commodore Rob Heath and Sue have spent the last couple of years putting their dinghy sailing experience from Yeadon to good use by sailing round the coast of Britain (twice) in their yacht Norman James. If that wasn't enough they stepped it up a bit this year. They have a new yacht now, a Southerly 480 called Kered that was launched this year. Then after a period of sea trials on the South Coast they set off on an even bigger trip ! First they sailed down to Cascais in Portugal, then island hopped via Maderia, Lanzarote to Mindelo in the Cape Verde Islands. With a few days there to prepare themselves they set off with a couple of other yachts for 2100 nautical mile crossing of the Atlantic to Falmouth in Antigua. 14 days later they arrived in the Caribbean ! Well done to the pair of you !